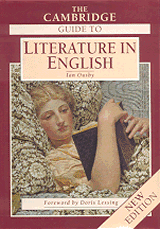 An authoritative and international survey of world literature in English. The Guide covers everything from Old English to Contemporary Writing from all over the english-speaking world. It covers poems, novels, literary journals and plays.